Clay Shirky holds a joint appointment at NYU as Associate Professor in the Arthur L. Carter Journalism Institute and Associate Arts Professor at the Interactive Telecommunications Program. He has written extensively about the Internet since 1996. His columns and writings have appeared in Business 2.0, the New York Times, the Wall Street Journal, the Harvard Business Review and Wired, and is the author of two recent books on social media, Cognitive Surplus: Creativity and Generosity in a Connected Age (2010) and Here Comes Everybody: The Power of Organizing Without Organizations (2008). 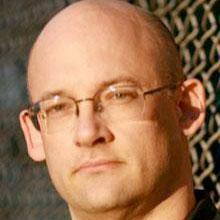 Shirky was named one of Foreign Policy’s “Top 100 Global Thinkers” in 2010.